"CHARGER JR" MARKERS & AUX. 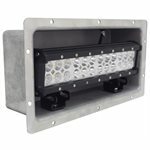 12" Off Road Light Bar CLEARANCE SPECIAL!!! !